Venture Gear - Pagosa - White Frame/Bronze Anti-Fog Lens - Stylish, sunglass look. Wide straightback temples. Soft rubber nosepiece. 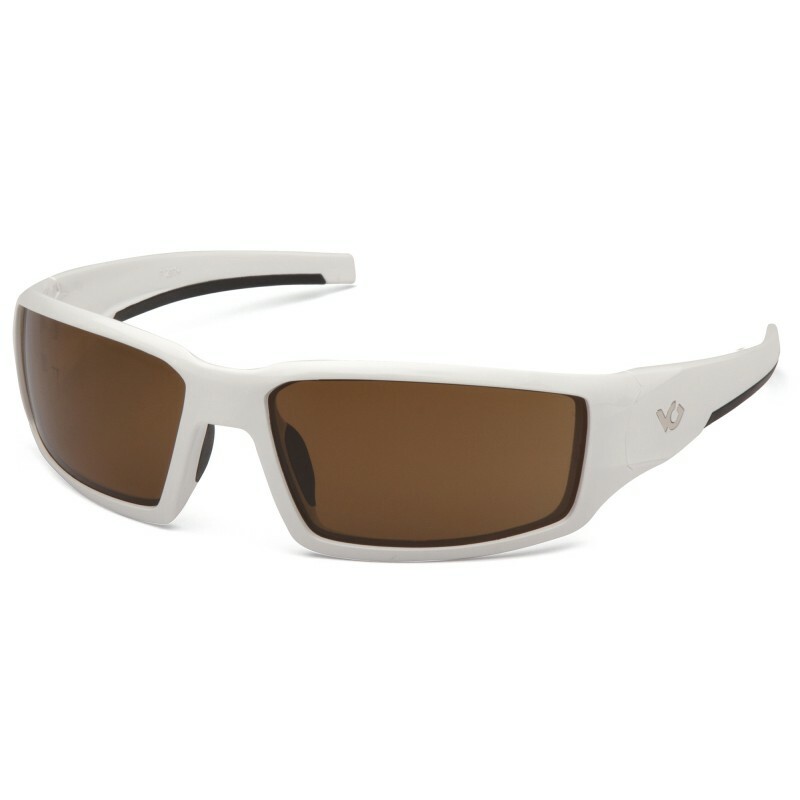 Anti-fog, scratch resistant polycarbonate lens provides 99% UVA/B/C protection.